Great is the profit of the divine Scriptures, and all-sufficient is the aid which comes from them. And Paul declared this when he said, “Whatsoever things were written aforetime, were written aforetime for our admonition upon whom the ends of the world are come, that we through patience and comfort of the Scriptures might have hope” ( Rom. 15:4, 1 Cor. 10:11). For the divine oracles are a treasury of all manner of medicines, so that whether it be needful to quench pride, to lull desire to sleep, to tread under foot the love of money, to despise pain, to inspire confidence, to gain patience, from them one may find abundant resource. For what man of those who struggle with long poverty or who are nailed to a grievous disease, will not, when he reads the passage before us, receive much comfort? 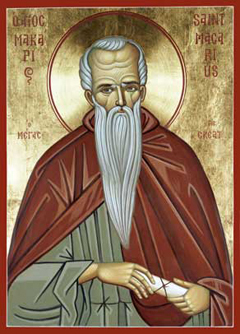 Since this man who had been paralytic for thirty and eight years, and who saw each year others delivered, and himself bound by his disease, not even so fell back and despaired, though in truth not merely despondency for the past, but also hopelessness for the future, was sufficient to overwhelm him. Hear now what he says, and learn the greatness of his tragedy. For when Christ had said, “Wilt thou be made whole?” “Yea, Lord,” he says, “but I have no man, when the water is troubled, to put me into the pool.” What can be more pitiable than these words? What more sad than these circumstances? But he replied gently, and with great mildness, “Yea, Lord”; yet he knew not who it was that asked him, nor that He would heal him, but still he mildly relates all the circumstances and asks nothing further, as though he were speaking to a physician, and desired merely to tell the story of his sufferings. 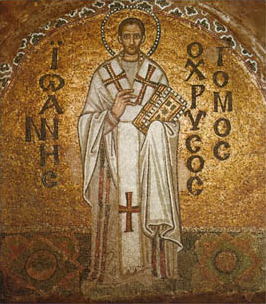 John Chrysostom (c.347-407): Homilies on St John’s Gospel, 37 (on John 5:6-8); [slightly adapted]. March 5th is the feast of St Mark the Hermit (Mark the Ascetic). He who tests all things and ‘holds fast that which is good’ (1 Thess. 5:21) will in consequence refrain from all evil. ‘A patient man abounds in understanding’ (Prov. 14: 29); and so does he who listens to words of wisdom. Without remembrance of God, there can be no true knowledge but only that which is false. Deeper spiritual knowledge helps the hard-hearted man: for unless he has fear, he refuses to accept the labor of repentance. Unquestioning acceptance of tradition is helpful for a gentle person, for then he will not try God’s patience or often fall into sin. […] Do not listen to talk about other people’s sins. For through such listening the form of these sins is imprinted on you. When you delight in hearing evil talk, be angry with yourself and not with the speaker. For listening in a sinful way makes the messenger seem sinful. […] Accept present afflictions for the sake of future blessings; then you will never weaken in your struggle. […] All good things come from God providentially, and those who bring them are the servants of what is good. Accept with equanimity the intermingling of good and evil, and then God will resolve all inequity. It is the uneven quality of our thoughts that produces changes m our condition. For God assigns to our voluntary thoughts consequences which are appropriate but not necessarily of our choice. […] From a pleasure-loving heart arise unhealthy thoughts and words; and from the smoke of a fire we recognize the fuel. Guard your mind, and you will not be harassed by temptations. But if you fail to guard it, accept patiently whatever trial comes. Pray that temptation may not come to you; but when it comes, accept it as your due and not undeserved. Reject all thoughts of greed, and you will be able to see the devil’s tricks. He who says he knows all the devil’s tricks falls unknowingly into his trap. The more the intellect withdraws from bodily cares, the more clearly it sees the craftiness of the enemy. A man who is carried away by his thoughts is blinded by them; and while he can see the actual working of sin, he cannot see its causes. It can happen that someone may in appearance be fulfilling a commandment but is in reality serving a passion, and through evil thoughts he destroys the goodness of the action. When you first become involved in something evil, don’t say: ‘It will not overpower me.’ For to the extent that you are involved you have already been overpowered by it. Mark the Hermit (5th-6th c.): On The Spiritual Law, 145-149, 152-153, 156, 158-160, 161-170, Text from G.E.H. Palmer, Philip Sherrard, and Kallistos Ware (trans. and eds.) The Philokalia: The Complete Text, vol. I (Faber & Faber, London & Boston: 1979), pp. 120-121. Men have four different attitudes towards sensible realities. Some, like the demons, hate God’s works, and they commit evil deliberately. Others, like the irrational animals, love these works because they are attractive, but their love is full of passion and they make no effort to acquire natural contemplation or to show gratitude. Others, in a way that befits men, love God’s works in a natural manner, with spiritual knowledge and gratitude, and they use everything with self-control. Finally, others, like the angels, love these works in a manner that is above and beyond nature, contemplating all things to the glory of God and making use of them only in so far as they are necessary for life, as St Paul puts it (cf. 1 Tim. 6:8). We ought all of us always to give thanks to God for both the universal and the particular gifts of soul and body that He bestows on us. The universal gifts consist of the four elements and all that comes into being through them, as well as all the marvelous works of God mentioned in the divine Scriptures. The particular gifts consist of all that God has given to each individual. trials and hardship, so that those who cannot eradicate their own will may be saved in spite of themselves, and those capable of joyful endurance may attain perfection. All these things, even if they are opposed to each other, are nevertheless good when used correctly; but when misused, they are not good, but are harmful for both soul and body. Better than them all, however, is the patient endurance of afflictions; and he who has been found worthy of this great gift should give thanks to God in that he has been all the more blessed. For he has become an imitator of Christ, of His holy apostles, and of the martyrs and saints. Peter of Damascus (?12th Century): A Treasury of Divine Knowledge Text from G.E.H. Palmer, Philip Sherrard, and Kallistos Ware (trans. and eds.) The Philokalia: The Complete Text, vol. 3 (Faber & Faber, London & Boston: 1979ff), pp. 171-172. God’s grace in man, and the gift of the Holy Ghost, which is vouchsafed to a faithful soul, proceeds with much contention, with much endurance and longsuffering, and temptations and trials, the man’s free will being tried by all manner of afflictions. And when it does not grieve the Spirit in anything, but is agreeable to grace through all commandments, then it is permitted to obtain freedom from passions, and receives the fulfilment of the Spirit’s adoption, spoken of in a mystery, and of the spiritual riches, and of the intelligence which is not of this world, whereof true Christians are made partakers. For this reason they are for all purposes superior to all the men of prudence, intelligence, and wisdom, who have the spirit of the world. For such an one judgeth all men (1 Cor. 2:15)….. Comparing spiritual things with spiritual; but the natural man receiveth not the things of the Spirit, for they are foolishness unto him: but he that is spiritual judgeth all men, yet he himself is judged by none (1 Cor. 2:13ff). Such an one looks upon all things that the world holds glorious, its riches, its luxury, and all its enjoyments yea, and even its knowledge and all things belonging to this age, as loathsome and hateful. As one that is possessed and burning with a fever loathes and rejects the sweetest food or drink that you offer him, because he burns with the fever and is vehemently exercised by it, so those who burn with the heavenly, sacred, solemn longing of the Spirit, and are smitten in soul with love of the love of God, and are vehemently exercised by the divine and heavenly fire which the Lord came to send upon the earth, and desire that it should speedily be kindled (Luke 12:49), and are aflame with the heavenly longing for Christ, these, as we said before, consider all the glorious and precious things of this age contemptible and hateful by reason of the fire of the love of Christ. The love of Christ holds them fast and inflames them and burns them with a Godward disposition and with the heavenly good things of love; from which love nothing of all that are in heaven and earth and under the earth shall be able to separate them, as the apostle Paul testified, saying, Who shall separate us from the love of Christ? (Rom. 8:35). Macarius the Egyptian (c. 300-391) [attributed]: Spiritual Homily 9, 7-9, trans. by A.J. Mason [slightly adapted]. We learn by experience that we possess eternal duration from the excelling power of this Being, not from our own nature. This is so that we may neither undervalue that glory which surrounds God as He is, nor be ignorant of our own nature, but that we may know what God can effect, and what benefits man receives. Thus we should never wander from the true comprehension of things as they are, that is, both with regard to God and with regard to man. […] The Apostle Paul has…in the most lucid manner, pointed out that man has been delivered over to his own infirmity, lest, being uplifted, he might fall away from the truth. Thus he says in the second Epistle to the Corinthians: And lest I should be lifted up by the sublimity of the revelations, there was given unto me a thorn in the flesh, the messenger of Satan to buffet me. And upon this I besought the Lord three times, that it might depart from me. But he said unto me, “My grace is sufficient for thee; for strength is made perfect in weakness”. Gladly therefore shall I rather glory in infirmities, that the power of Christ may dwell in me (2 Cor. 12:7–9). […] Did the Lord wish, in that case, that His apostles should thus undergo buffeting, and that he should endure such infirmity? Even so it was; the word says it. For strength is made perfect in weakness, rendering him a better man who by means of his infirmity becomes acquainted with the power of God. For how could a man have learned that he is himself an infirm being, and mortal by nature, but that God is immortal and powerful, unless he had learned by experience what is in both? For there is nothing evil in learning one’s infirmities by endurance; yea, rather, it has even the beneficial effect of preventing him from forming an undue opinion of his own nature. But [man’s] being lifted up against God, and taking His glory to one’s self, rendering man ungrateful, has brought much evil upon him. And thus, I say, man must learn both things by experience, that he may not be destitute of truth and love either towards himself or his Creator. But the experience of both confers upon him the true knowledge as to God and man, and increases his love towards God. Now, where there exists an increase of love, there a greater glory is wrought out by the power of God for those who love Him. 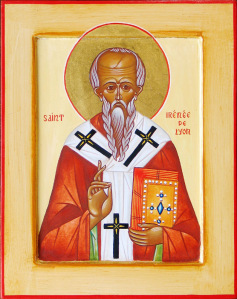 Irenaeus of Lyons (2nd century AD – c. 202): Adversus Haereses 5,2,3 & 5,3,1 [slightly adapted]. Thou shalt also forget thy misery, and no more remember it, as waters that pass away (Job 16:11). The mind feels the ills of the present life the more severely, in proportion as it neglects to take account of the good that comes after. And as it will not consider the rewards that are in store, it reckons all to be grievous that it undergoes. And hence the blinded imagination murmurs against the stroke of the scourge, and that is taken for an immeasurable woe, which by the days flowing on in their course is daily being brought to an end. But if a man once raise himself to things eternal, and fix the eye of the soul upon those objects which remain without undergoing change, he sees that here below all whatsoever runs to an end is almost nothing at all. He is subject to the adversities of the present life, but he bethinks himself that all that passes away is as nought. For the more vigorously he makes his way into the interior joys, he is the less sensible of pains without. Whence Zophar, not being afraid with boldfaced hardihood to instruct one better than himself, exhorts to righteousness, and shews how little chastening appears in the eyes of the righteous man. Now he does well in likening the miseries of the present life to ‘waters that pass away,’ for passing calamity never overwhelms the mind of the elect with the force of a shock, yet it does tinge it with the touch of sorrow. For it drops indeed with the bleeding of the wound, though it is not dashed from the certainty of its salvation. But it often happens that not only stripes inflict bruises, but that in the mind of each one of the righteous the temptings of evil spirits come in force, so that he is grieved by the stroke without, and is in some sort chilled within by temptation. Yet grace never forsakes him. The more severely grace smites us in the dealings of Providence, so much the more does it watch over us in pity. For when it has begun to grow dark through temptation, the inward light kindles itself again. 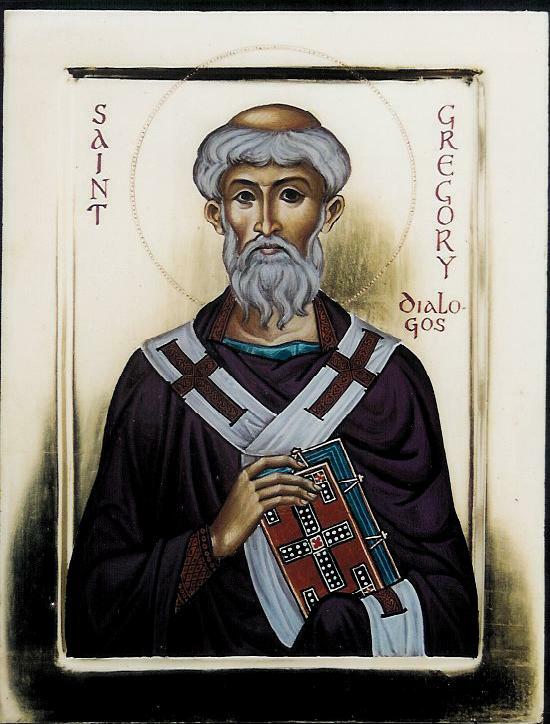 Gregory the Great (c.540-604): Reflections (Moralia) on Job, 10, 32 (on Job 11:16) @ Lectionary Central [slightly adapted]. “Then said Jesus unto His disciples, If any man will come after me, let him renounce himself, and take up his cross and follow me” (Matthew 14:24). Peter said, “Be it far from Thee, this shall not be unto Thee;” and was told, “Get thee behind me, Satan” (Matt. 16:22-23). For Jesus was by no means satisfied with the mere rebuke, but, willing also more abundantly to show both the extravagance of what Peter had said, and the benefit of His passion, He says “Thy word to me is: Be it far from Thee, this shall not be unto Thee. Thus, lest they should think His suffering unworthy of Him…, He teaches them the gain thereof. Thus in John first, He says: “Except the corn of wheat fall into the ground and die, it abideth alone; but if it die, it bringeth forth much fruit” (John 12:24)…. He says “I force not, I compel not, but each one I make lord of his own choice; wherefore also I say if any man will. Speaking thus, He drew them unto Him the more. For he indeed that uses compulsion often turns men away, but he that leaves the hearer to choose attracts him more. For soothing is a mightier thing than force. Wherefore even He Himself said, “If any man will.” “For great,” says He, “are the good things which I give you, and such as for men even to run to them of their own accord. For neither if one were giving gold, and offering a treasure, would he invite with force. Wherefore Christ compels not, but urges, sparing us. For since they seemed to be murmuring much, being secretly disturbed at the saying, He says “there is no need for disturbance or for trouble. John Chrysostom (c.347-407): Homilies on the Gospel According to St Matthew, 55 (on Matthew 16:24ff); slightly adapted. and yet, because they are hard and painful, and against the natural feelings of our weak nature, we pray, with a desire which is common to mankind, that they may be removed from us. 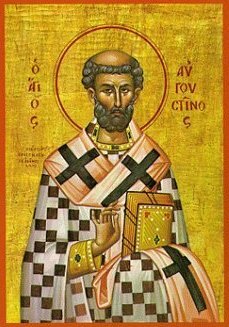 God has sometimes in anger granted the request of impatient petitioners, as in mercy He denied it to the apostle [St Paul]. For we read what the Israelites [in the desert] asked, and in what manner they asked and obtained their request; but while their desire was granted, their impatience was severely corrected. Again, He gave them, in answer to their request, a king according to their heart, as it is written, not according to His own heart. He granted also what the devil asked, namely, that His servant [Job], who was to be proved, might be tempted. He granted also the request of unclean spirits, when they besought Him that their legion might be sent into the great herd of swine. Wherefore, not without reason are many made righteous by the obedience of One. Augustine of Hippo (354-430): Letter to Proba, XIV, 26 @ Crossroads Initiative. Nothing troubles the man who is given over to the will of God, be it illness, poverty or persecution. He knows that the Lord in His mercy is solicitous for us. The Holy Spirit, whom the soul knows, is witness therefore. But the proud and the self-willed do not want to surrender to God’s will because they like their own way, and that is harmful for the soul. We must always pray the Lord for peace of soul that we may the more easily fulfil the Lord’s commandments; for the Lord loves those who strive to do His will, and thus they attain profound peace in God. He who does the Lord’s will is content with all things, though he be poor or sick and suffering, because the grace of God gladdens his heart. But the man who is discontent with his lot and murmurs against his fate, or against those who cause him offence, should realize that his spirit is in a state of pride, which has taken from him his sense of gratitude towards God. No one on this earth can avoid affliction; and although the afflictions which the Lord sends are not great, men imagine them beyond their strength and are crushed by them. This is because they will not humble their souls and commit themselves to the will of God. But the Lord Himself guides with His grace those who are given over to God’s will, and they bear all things with fortitude for the sake of God Whom they have so loved and with Whom they are glorified for ever. 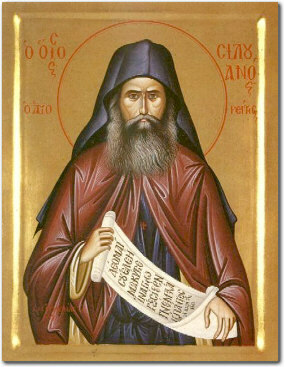 Silouan the Athonite (1866-1938; Eastern Orthodox): from St. Silouan, Wisdom From Mount Athos – The Writings of Staretz Silouan 1866-1938, by Archimandrite Sophrony, trans. Rosemary Edmonds, (St. Vladimir’s Seminary Press, Crestwood, NY 1974) @ Kandylaki. It is a great good to give oneself up to the will of God. Then the Lord alone is in the soul. No other thought can enter in, and the soul feels God’s love, even though the body be suffering. When the soul is entirely given over to the will of God, the Lord Himself takes her in hand and the soul learns directly from God. Whereas, before, she turned to teachers and to the Scriptures for instruction. But it rarely happens that the soul’s teacher is the Lord Himself through the grace of the Holy Spirit, and few there are that know of this, save only those who live according to God’s will. […] O God of Mercy, Thou knowest our infirmity. I beseech Thee, grant me a humble spirit, for in Thy mercy Thou dost enable the humble soul to live according to Thy will. […] How are you to know if you are living according to the will of God? Here is a sign: if you are distressed over anything it means that you have not fully surrendered to God’s will, although it may seem to you that you live according to His will. He who lives according to God’s will has no cares. If he has need of something, he offers himself and the thing he wants to God, and if he does not receive it, he remains as tranquil as if he had got what he wanted. The soul that is given over to the will of God fears nothing…. Whatever may come, ‘Such is God’s pleasure,’ she says. If she falls sick she thinks, ‘This means that I need sickness, or God would not have sent it.’ And in this wise is peace preserved in soul and body. The man who takes thought for his own welfare is unable to give himself up to God’s will, that his soul may have peace in God. But the humble soul is devoted to God’s will, and lives before Him in awe and love; in awe, lest she grieve God in any way; in love, because the soul has come to know how the Lord loves us. The best thing of all is to surrender to God’s will and bear affliction, having confidence in God. The Lord, seeing our affliction, will never give us too much to bear. If we seem to ourselves to be greatly afflicted, it means that we have not surrendered to the will of God.